The holidays always have me daydreaming about spending time in the kitchen with my Grandmother! Everything she made tasted like a little piece of heaven. 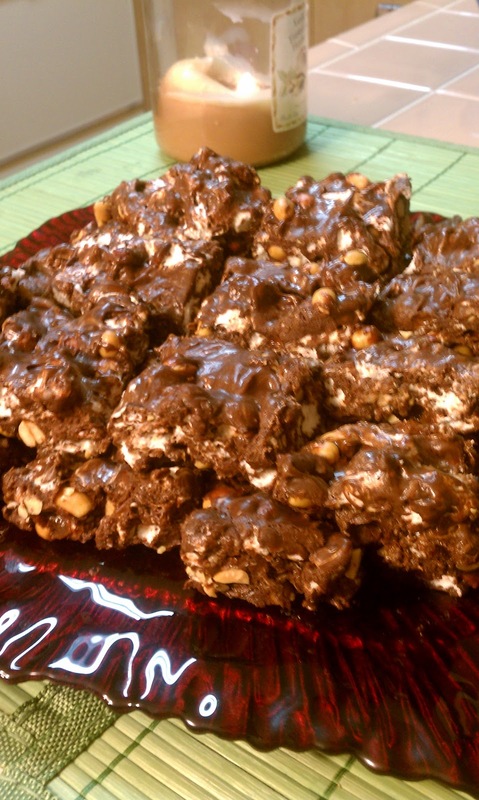 Today, I want to share my favorite no bake recipe that my Grandmother always had at her house during the holidays. 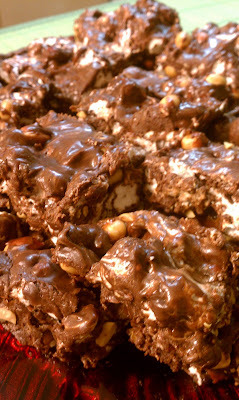 A Sinfully Sweet Chocolate Treat! WATCH MY ROCKY ROAD COOKING SHOW HERE! On top of double boiler, over boiling water, melt chocolate, condensed milk and butter. Spread in a buttered 9X13 pan. Chill for 2 hours or until firm- cut into squares and store at room temperature. 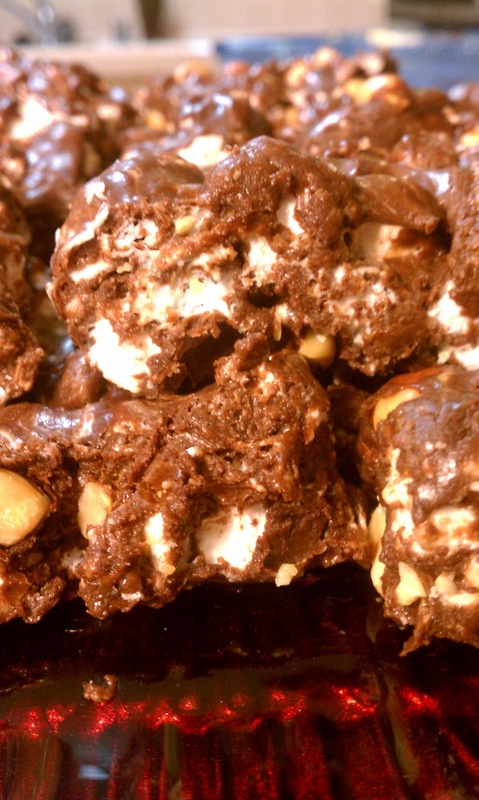 Note: You can also place liners in a muffin pan and make rocky road cupcakes! So easy to make! And a perfect treat for the holidays! 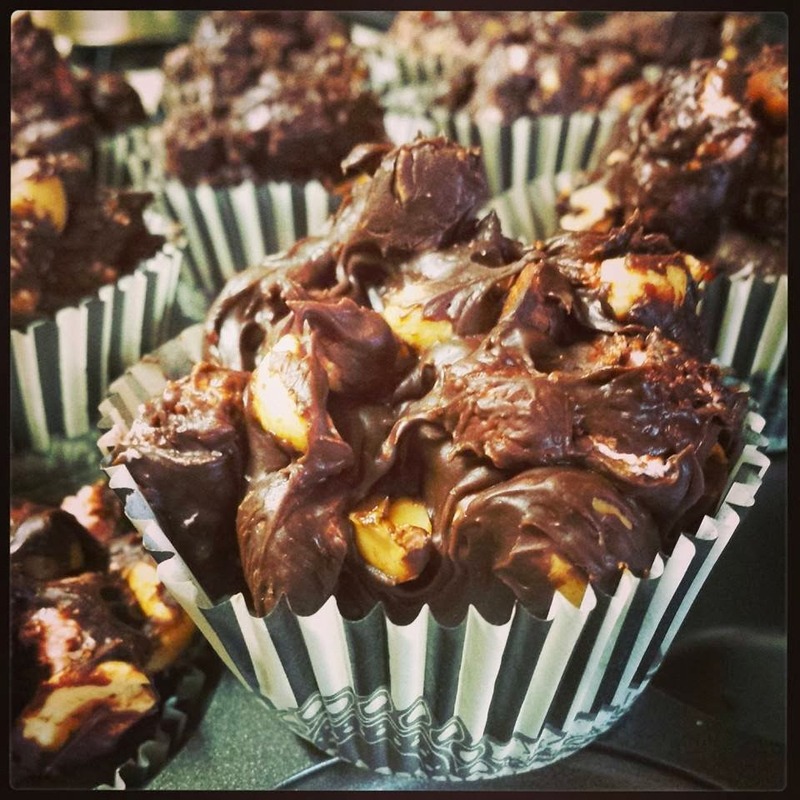 Please "Like" Baking with Melissa on Facebook! My famous Mississippi Mud Cake! Hi Melissa - love your blog/recipes. 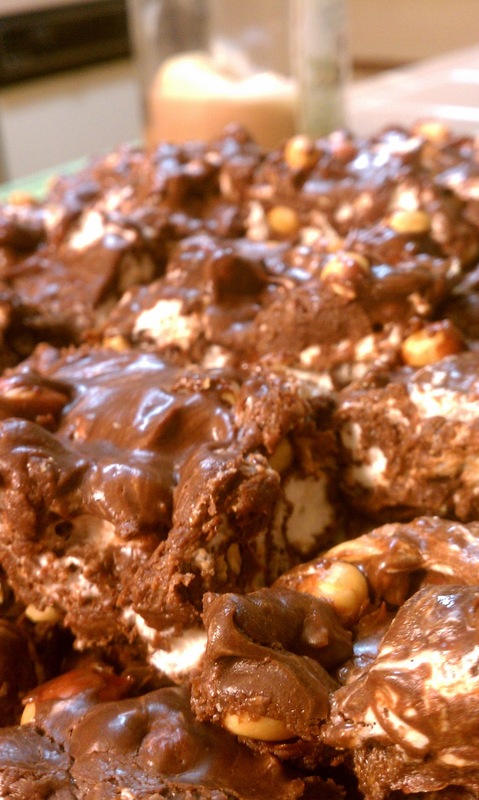 I'm making this rocky road candy for my grandson in the Marines. I will drop into mini-muffin wrappers for ease in handling and shipping to him. OH! I love that!!! Thanks for sharing! I am sure he will LOVE receiving such a wonderful treat in the mail! Both of my parents were career military officers...so there is a special place in my heart for the military men/women out there! Thanks for stopping by! 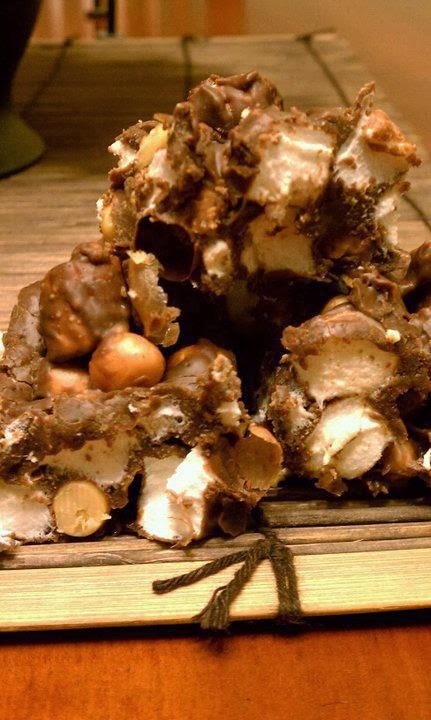 Thank you Melissa for sharing , might you have the recipe for the U-NO candy bars ? If so please share with me ! Again Thank You ! Thank you SO much!! I do not have that recipe, but I will look into it!